Add a fun and vibrant touch of color to your paris decor bedroom. 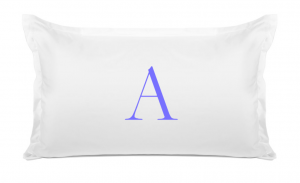 Personalize your pillow cases with a first initial and choose from a variety of colors and fonts. This monogram pillowcases is the perfect personalized gift.